Previously the Sales Leader for all GE Capital sales activity throughout Asia. He has extensive working relationship & experience with major fabs, refurbishes & other related companies in China, Taiwan, South Korea, & SE Asia. Yaw has also previously managed semiconductor, PCBA & PCB equipment & material distributorship across SE Asia & India for more than 30 years. Yaw is based in Singapore. Stephen has more than 30 years experience working in China & North Asia.He spearheaded all of GE Capital's used semiconductor equipment sales in China for 10 years. He also brings with him in-depth understanding & lengthy experience working with the Chinese government & related companies. A 30 year veteran from back end assembly and test with IDM as well as OSAT. CY was formerly with STM in Singapore and France. He has also recently spent 7 years in UTAC Shanghai. CY Has moved though various portfolios in back end assembly including QA, process, manufacturing, facilities & HR. Based in Singapore, he is the driving force for Datalyzer’s SPC Software. 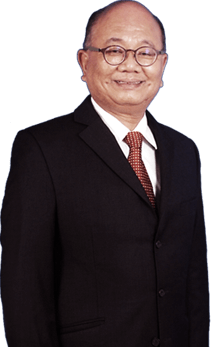 A Taiwanese with more than 25 years' experience in the Taiwanese semiconductor industry. She has worked in a slew of companies before they were merged with bigger organisations like Gasonics, Tencor, Cymer & Comdisco. She was also GE Capital's Remarketing Programme Manager for used semiconductor equipment responsible for the whole of Asia including TSMC. Corsa is baed in Hsinchu. Based in Korea, Eva was the GE Capital remarketing sales manager for the whole of Korea, covering both the front end, fabs, as well as back end assembly & test market. Eva has more than 15 years experience in the Korean used equipment market with 10 of them in GE. A Singaporean with more than 20 years experience in the Singapore semiconductor circle. He has worked in SSMC, UMCi and GlobalFoundries and did a 2 year stint in Panasonic Japan under an EDB scheme. Jin Seng brings with him a wealth of end user experience and knowledge to the team. A 30 year veteran from back end assembly and test with IDM as well as OSAT. CY was formerly with STM in Singapore and France. He has also recently spent 7 years in UTAC Shanghai. [..] A 30 year veteran from back end assembly and test with IDM as well as OSAT. CY was formerly with STM in Singapore and France. He has also recently spent 7 years in UTAC Shanghai. CY Has moved though various portfolios in back end assembly including QA, process, manufacturing, facilities & HR. Stephen has more than 30 years experience working in China & North Asia.He spearheaded all of GE Capital's used semiconductor equipment sales in China for 10 years [..] Stephen has more than 30 years experience working in China & North Asia.He spearheaded all of GE Capital's used semiconductor equipment sales in China for 10 years. He also brings with him in-depth understanding & lengthy experience working with the Chinese government & related companies. Previously the Sales Leader for all GE Capital sales activity throughout Asia. He has extensive working relationship & experience with major fabs, refurbishes & other related companies in China, Taiwan, South Korea, & SE Asia [..] Previously the Sales Leader for all GE Capital sales activity throughout Asia. He has extensive working relationship & experience with major fabs, refurbishes & other related companies in China, Taiwan, South Korea, & SE Asia. 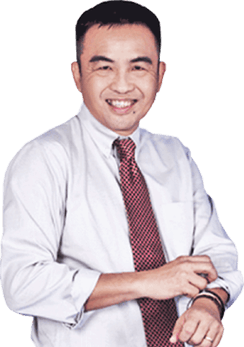 A Taiwanese with more than 25 years' experience in the Taiwanese semiconductor industry. She has worked in a slew of companies before they were merged with bigger organisations like Gasonics, Tencor, Cymer & Comdisco [..] A Taiwanese with more than 25 years' experience in the Taiwanese semiconductor industry. She has worked in a slew of companies before they were merged with bigger organisations like Gasonics, Tencor, Cymer & Comdisco. She was also GE Capital's Remarketing Programme Manager for used semiconductor equipment responsible for the whole of Asia including TSMC. A Singaporean with more than 20 years experience in the Singapore semiconductor circle. He has worked in SSMC, UMCi and GlobalFoundries and did a 2 year stint in Panasonic Japan under an EDB scheme [..] A Singaporean with more than 20 years experience in the Singapore semiconductor circle. He has worked in SSMC, UMCi and GlobalFoundries and did a 2 year stint in Panasonic Japan under an EDB scheme. 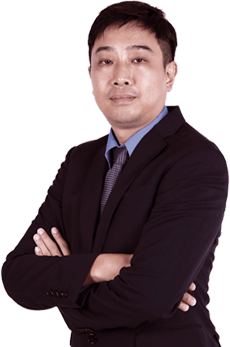 Jin Seng brings with him a wealth of end user experience and knowledge to the team. Based in Korea, Eva was the GE Capital remarketing sales manager for the whole of Korea, covering both the front end, fabs, as well as back end assembly & test market [..] Based in Korea, Eva was the GE Capital remarketing sales manager for the whole of Korea, covering both the front end, fabs, as well as back end assembly & test market. Eva has more than 15 years experience in the Korean used equipment market with 10 of them in GE. Adelis Associates is in the business of sourcing, remarketing and providing full turnkey solutions for used semiconductor manufacturing equipment.